Welcome to The Daily Runner’s first-ever Senior Spotlight series. The inspiration behind this series has been to shine a spotlight on a few seniors at Regent. Graduating college is a significant milestone in life and The Daily Runner wants to honor a few of the members of the class of 2017. 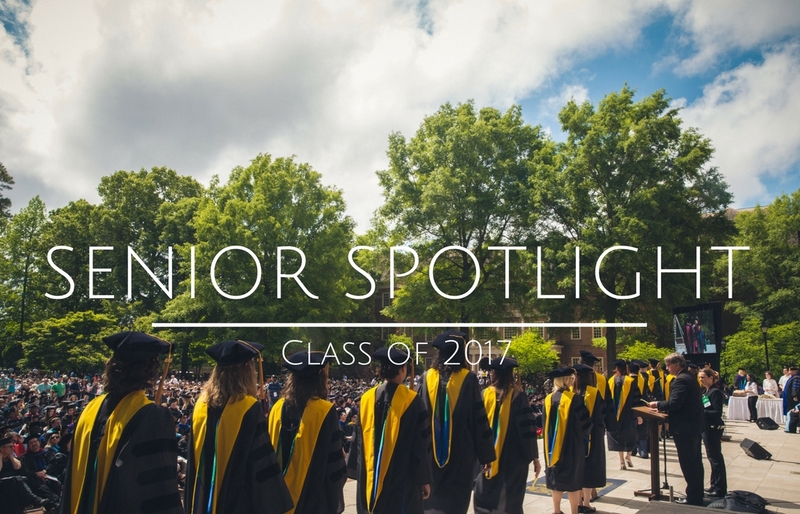 We have selected eight different seniors – four young women and four young men – for you to get to know before they graduate in May. The second soon-to-be graduate we would like to honor is Elizabeth Landon. If you have frequented any of Regent’s Unchapel services on Thursday nights then you would have seen blonde hair flying, feet dancing and raised arms – which means you’ve encountered the very heart of Elizabeth Landon. With her infectious smile and bubbly personality, one cannot help but walk away from every interaction with Landon feeling encouraged. Born and raised in the New Jersey/Delaware area, Landon quickly became a familiar face around campus due to her involvement with Campus Ministries and Regent Worship Team. I was honored to spend a few minutes interviewing Landon. Personally, she has become one of my closest friends; I was excited to sit down with her and hear her heart. As a communications major, Landon has plans to stay in the Virginia Beach area after graduating in May. The very heart of Elizabeth Landon is passionate, unbridled and utterly abandoned for our Savior. It is people like Landon who have made Regent such an amazing place over the last four years. I have no doubt in my mind that Landon will be a world changer. She loves the Lord, she loves people and she loves life. The world needs more people like her. Madeline Ferrante is a staff writer for The Daily Runner.